OK, Congress has passed insurance reform. But President Obama’s proposed nomination of Don Berwick (pictured) to head CMS says a lot about the administration’s overarching plan for delivery system reform. Wake up, tea-baggers. This is not a “government takeover” of health care. Just the opposite. It’s about paying health care innovators to re-engineer this inefficient, dysfunctional mess from the inside out. The old non-system needs to die, and a new one – a real, integrated, functional health care system – must take its place. Government isn’t about to force this on anyone. The executioners, the midwives, the innovators will be – us. Berwick, Professor of Health Policy and Management at the Harvard School of Public Health and founder of the Institute for Healthcare Improvement (IHI), is perhaps the world’s leading proponent of, and authority on the mechanics of, improving health care at the operational level. The breadth of his philosophy can be summed up by two of his famously terse pronouncements: “When I climb Mount Rainier, I face less risk of death than I face on the [US] operating table,” and “What can you do by next Tuesday?” He has criticized clinical trials (read: Medicare demonstrations) as too slow, too cumbersome, and too exclusionary to be effective quality improvement tools. He favors pilots, utilizing rapid-cycle improvement techniques, to get real results in as close as we can get to real time. Atul Gawande, in a December 2009 New Yorker article, describes how this pilot methodology produced an explosion of knowledge and progress in the hidebound American agricultural system of the early 20th century. He also points out that the health care reform bill (pre-Christmas last year, this was the Senate version) didn’t redesign the system or mandate cost cuts. Instead, it provided pilots. At the time, that was disappointing. Now, it looks brilliant. Fast-forward to HR 3590, The Patient Protection and Affordable Care Act of 2010, signed into law by President Obama last week, all (sigh) 906 pages (take my word for the following if you don’t want to download a 2MB file). Check pp. 271-297, Part III, Sec. 3021, titled “Encouraging the Development of New Patient Care Models.” This provision creates the Center for Medicare and Medicaid Innovation (CMI). Sec. 3022 describes Accountable Care Organizations (ACOs); Sec. 3024 is about Independence at Home; Sec. 3026 lays out Community-Based Care Transitions programs. The details on these & other initiatives are too numerous and complex to include here. However, these new models are just a starting point. We will make others up as we go along. The law appropriates over $10 billion for years 2011-19, leaving the Treasury door open for more after that. What would Don do? It would be surprising if CMS and CMI didn’t work hand-in-glove to evaluate the multitude of pilot projects that will mushroom all over the US in 2012 and after, implementing what works. Nice plan. Overhaul the system by doing what Americans do best: reinventing ourselves. I had the opportunity last week to chat with Peter Orszag, Director of the US Office of Management and Budget (the poor man’s way – I called in to NPR during his interview). I asked him how we'll ever achieve reductions in Medicare expenditures when Congress always restores whatever it previously cut out of provider reimbursement (e.g. the annual “doc fix” that keeps putting off mandated cuts in MD payments). His reply: we won’t have to do that any more. The new law will enable us to “bend the cost curve” downward through delivery system re-engineering by providers themselves. Mandated reimbursement cuts are only a backup plan. We’ll see how that works out in 10 or 15 years when the Chinese knock on our door and ask for their money back (I owe that line to Len Nichols). Meanwhile, let's roll up our sleeves and get to work. New Bottom Line: The legislative train has left the station. Don’t sit around waiting for policy makers to force payment and delivery system reform on rebellious providers and patients. Congress is done. It has handed health care off to Sec. Sebelius at Health and Human Services. Over the next few months, HHS will write the regulations and prepare the RFPs so proposals can be submitted for pilots. Who will submit them? Look in the mirror. How to best deal with this? You have to think in system terms. The new law supports ACOs because they’re the royal road to system integration, until the next great idea evolves. Now, hospitals, medical groups, and home- & community-based providers will be incentivized to group together, and to develop internal revenue-distribution and quality measurement methods. The law defines just two metrics for success: reduce costs and increase quality of care, in that order. What about palliative care? Current models are hospital-based. Time to take it to the next level. Inpatient PC consultation teams and designated beds/units are important from both quality and cost standpoints, but they’re not the whole story. They “cut the tail off” expensive hospital stays, but the real money is in preventing admissions and readmissions. Oh yeah – cutting payments for those is just around the corner. Very soon the days will be gone when hospital administrators refuse to cooperate with those of us who want to implement projects that reduce readmission rates. Who cares about contribution margins? Those needless readmissions will become pure costs. That’s why the new law focuses so much on home- and community-based interventions. Predictions: the most robust pilots will connect, through new workflow and data systems, hospitalists, hospital case management, inpatient palliative care, inpatient/outpatient integrated late-stage chronic illness management, home telemanagement, home-based palliative care, and hospice. Enlightened physicians will leverage their time and expertise as they move from just seeing one patient at a time to working with interdisciplinary teams of advance-practice and other sorts of nurses, social workers, and volunteers. Advance care planning will move way upstream, a la the Respecting Choices model. System thinking and delivery redesign will, over time, move the focus of health care for seriously ill elders, who are responsible for an ever-increasing proportion of Medicare expenditures, out of the hospital and into home and community. What will Don do, assuming he's nominated and then that he survives his run through the Republican gauntlet of fire on the way to confirmation? He will do everything he can to promote rapid-cycle creativity and system-level integration. As a result, US health care may look and act very differently in 2020 than it does today. But the big question is: what will you do? Those of us who have been laying low, incubating new visions, starting new programs, and gaining access and influence in health systems across the US should talk to each other. Fee-for-service health care is about to die. The new currency will be great ideas and creative practices that work. Happy Easter, everyone. Here’s to death and rebirth. Thanks for this terrific post, Brad. RE accountable care organizations - I think there is tremendous opportunity for geriatrics and palliative care, particularly in the outpatient setting, but I have a few concerns that I blogged about previously. RE Don Berwick, I do worry that the zeal to incorporate the "newest" or "hotest" intervention in health care improvement may lead to unintended consequences and investing money unwisely. I think Bob Wachter has written some of the best critiques of Don Berwick, although on balance he strongly supports his candidacy for administrator of CMS. safety problems in a way that does not blind us to harms, squander scarce resources, or delude us about the effectiveness of our efforts." I agree there is a chance to try the wrong solutions but I am encouraged by this development. A lot of the pilot work might be throwing spaghetti at the wall but something will stick and hopefully we in palliative care will be at the table. Great points, Alex. "Traditional models of evidence" are indispensible, but it's not necessarily apporpriate to apply them in the pilot phase of a project. Evaluation is critical to determine effectiveness, but it can be done in a phased manner. Evaluation in the pilot phase is pretty basic, because the goal is to iron out kinks in the intervention methodology itself. Data gathering is important, but any reporting is usually more in terms of a descriptive study than a randomized trial. Or, as Auerbach notes, you can compare pilot results in the intervention group to a matched set of controls. For example, we published just this kind of study on our homecare-based AIM program v.1.0 in JPM Dec 2009, showing that we were able to more than double hospice enrollment rates compared to non-intervention controls, and also eliminated racial/ethnic disparities in hospice acceptability for African Americans. No randomized trial, but the results were in the right direction. Now we're piloting AIM v.2.0, upgrading the intervention from homecare-based to include patients who are non-homecare-eligible, and linking hospital, office-based case management, homecare, and telemanagement. We're gathering data and plan to publish results, again as intervention vs. controls. Once that's done, assuming results are encouraging, we'll be ready to consider a randomized trial. The advantage of the pilot approach is that you can design, implement and test a fledgling program, course-correct, test again, and before long you have a mature intervention. Then it's time for clinical trials. My guess is that CMS and CMI will institutionalize an approach something like this. Way more efficient than starting with a Medicare demonstration. Remember the MCCD debacle? Care coordination was not a "failure;" the study design was the problem. The brilliance of Accountable Care Organizations is that they establish a link between inpatient and outpatient care and require the group of physicians to share the reimbursement. This way, solutions are made locally. The huge problem with evidence is that evidence in one region/hospital may not apply to another. The great advantage of QI and ACOs is they focus on microsystems. Example, a surgical checklist may have a lot of enthusiasm and efficacy at Atul Gawande's hospital becuase it was developed there as a solution to a problem, not becuase it was the ideal solution to roll out to all ORs nationally. 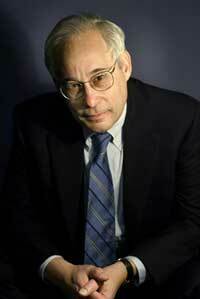 I am enthusiastic about Don Berwick. The more I learn about this new law, the more enthusiastic I become about it as well. Caution: I don't know how pall care/hospice fit into ACOs. Geriatricians should be extremely optimistic because we have a lot to offer, particularly in ways that hospitals will like - reducing hospital readmissions and preventing 'preventable' complications - both of which will mean money to the hospital and increase our value. Great blog for the health related readers,very impressive and energetic to everyone for the good health , give extra information about that topic with good pictures.